Buying a didgeridoo for sleep apnea for the first time can be overwhelming – it’s an uncommon instrument and you are going to use it as a device to get rid of your medical condition. But fret not, here are some tips on where and how to buy a didgeridoo for sleep apnea. Didgeridoos come in a big range of prices, from as low as $25 or so for a plastic didgeridoo to over $2000 for a traditionally made one by a famous didgeridoo craftsperson. For most beginners though, a mid-range, reasonably priced didgeridoo should be sufficient. This means a didgeridoo priced between $50- $500. The materials you need are a plastic pipe, a hacksaw, a file, a sharp knife and beeswax for the mouth piece. The easiest material you can use for your didgeridoo (and that you can find in your local hardware store) is a schedule 40 PVC pipe. Choose one that has a 1.25″ or 1.5″ diameter. 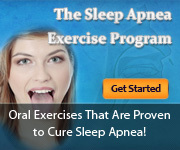 Interested in learning more about didgeridoo therapy for sleep apnea? Please click here to find out how you can cure your sleep apnea in the next 60 days using the didgeridoo.